In memory of Lorraine's passing last Week, BEYOND the DARKNESS is airing a special encore presentation of the very first episode that she appeared with us. It was 2006, Ed was ill, and what started out as the standard paranormal interview really became the story of how two people truly meant to be together found their way, through love, and life. As organized religion sees decreases in attendance numbers, and people label themselves as more "spiritual" than ever before, we see more and more people joining the ranks of Wicca and Witchcraft. Laura Tempest Zakroff joins Beyond The Darkness today and is an author, artist, dancer, and practicing Modern Traditional Witch of more than two decades who will streamline your ideas of what witchcraft is... and isn't! Laura's Website: https://www.lauratempestzakroff.com/ Laura's Book: https://www.amazon.com/Weave-Liminal-Living-Traditional-Witchcraft/dp/0738756105/ref=sr_1_1?keywords=weave+the+liminal&qid=1554521115&s=gateway&sr=8-1 PLUS: One of our favorite presentations of Theater of the Mind Support our sponsors for great deals! TRUE CASH from TRUECAR is something you need to check out for yourself. It has never been easier or faster to get a TRUE VALUE on your car and you can do it from the comfort of home at www.TrueCar.com Digestive troubles? Weight gain? Low energy? Achy Joints? If you've been struggling with any of these, Dr. Steven Gundry says you're not alone And he knows the real cause! Watch the free video at totalrestore2.com to find out more! BEYOND the DARKNESS has unEarthly encounters with A Werewolf, LAPD squares off with a UFO and more in Supernatural News/Parashare. The Russian Military comes clean about Psychic Missions and using Telepathy with Dolphins, the first picture of a Black Hole is about to be revealed, so are pictures of Fairies and Nessie is at it again. Remember to call and share your stories for future episodes 651-300-4977 Support our sponsors for great deals! TRUE CASH from TRUECAR is something you need to check out for yourself. It has never been easier or faster to get a TRUE VALUE on your car and you can do it from the comfort of home at www.TrueCar.com Digestive troubles? Weight gain? Low energy? Achy Joints? If you've been struggling with any of these, Dr. Steven Gundry says you're not alone And he knows the real cause! Watch the free video at totalrestore2.com to find out more! BEYOND the DARKNESS follows in the Footnotes: Experiences with Bigfoot and guest Susan Barron Susan Barron has been on a 16 yr mission seeking answers about this hairy hominid and have some life changing encounters of her own. Tune in for a Sasquatch Sized helping of fun and laughs today as Tim & Dave talk furry fun with Susan and her strange investigations. Get her book here: https://amzn.to/2FKdg7S Support our sponsors for great deals! TRUE CASH from TRUECAR is something you need to check out for yourself. It has never been easier or faster to get a TRUE VALUE on your car and you can do it from the comfort of home at www.TrueCar.com Digestive troubles? Weight gain? Low energy? Achy Joints? If you've been struggling with any of these, Dr. Steven Gundry says you're not alone And he knows the real cause! Watch the free video at totalrestore2.com to find out more! 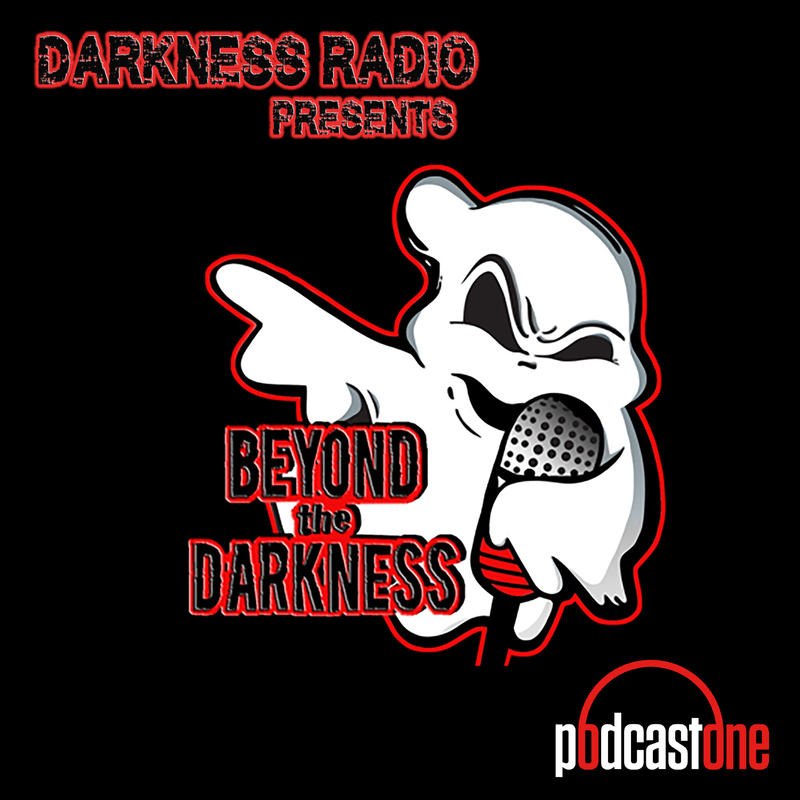 BEYOND the DARKNESS is back reporting Supernatural News & sharing YOUR encounters on Parashare Saturday! We've got a smorgasbord of fun today, Demon infested furniture, Time Traveling Lie Detection, Baby Monitor Ghosts, Suicidal Dogs, Killer Cats and More! Remember to call and share your stories for future episodes 651-300-4977 Support our sponsors for great deals! TRUE CASH from TRUECAR is something you need to check out for yourself. It has never been easier or faster to get a TRUE VALUE on your car and you can do it from the comfort of home at www.TrueCar.com Digestive troubles? Weight gain? Low energy? Achy Joints? If you've been struggling with any of these, Dr. Steven Gundry says you're not alone And he knows the real cause! Watch the free video at totalrestore2.com to find out more! Today BEYOND the DARKNESS has Visions: True Stories of Spiritualism, Secret Societies and Murder with Michael T. Keene Michael walks us thru unsolved mysteries of Masonic-secrets, murder-conspiracies, Native American folklore and the paranormal! Visit his site and watch get the documentary here: http://www.ad-hoc-productions.com/# Support our sponsors for great deals! TRUE CASH from TRUECAR is something you need to check out for yourself. It has never been easier or faster to get a TRUE VALUE on your car and you can do it from the comfort of home at www.TrueCar.com Digestive troubles? Weight gain? Low energy? Achy Joints? If you've been struggling with any of these, Dr. Steven Gundry says you're not alone And he knows the real cause! Watch the free video at totalrestore2.com to find out more! Has life piled on the anxiety to an overwhelming crescendo? Sunday Scaries can give you relief! Sunday Scaries are CBD Gummies custom formulated with a 10mg of blend of broad spectrum and isolate CBD as well as vitamins B12 and D3 for mood boosters. They are made with natural ingredients and are free of gluten, dairy, yeast, egg, soy and peanuts. Get 10 percent off and free shipping at sundayscaries.com and use the code word DARKNESS .